Step away from the hustle and bustle of Woodbrook into the calm oasis of Yoga 4 Youth. Walk into our studio and feel an instant sense of relaxation and rejuvenation as we welcome you to our little world. Yoga 4 Youth is for the young and the young at heart. Our studio welcomes anyone on a spiritual and physical journey, offering classes for everyone from babes taking their first steps to mature practitioners seeking rejuvenation in a hectic world. Classes cost just TT$70 (adult) & TT$45 (child). Have a look at the Schedule for a list of classes or call 290-YOGA (9642). Follow our teacher, Katherine Dalton-Brown as she makes the physical journey to Machu Picchu, and a spiritual journey to self discovery. Read here in our Fountain of Knowledge. Ever walked into a room full of yoga instructors and suddenly felt the need to pull in your tummy? It's no coincidence that regular practitioners of yoga sport a strong, lean core. Read more to learn the link between yoga and core strength. 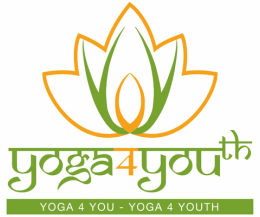 Yoga 4 You * Yoga 4 Youth embodies our passion for the connection between mind and body. Get to know us a little better! Click here to learn more.